Hello everyone! 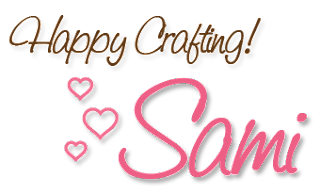 Samantha here, to announce the weekly challenge winner AND I am also excited to talk to you today about our new blog design and new products! This is a long post so grab some tea and enjoy all the excitement. 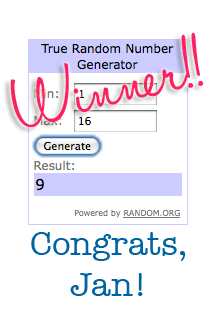 The winner this week was lucky #9, Jan!!! 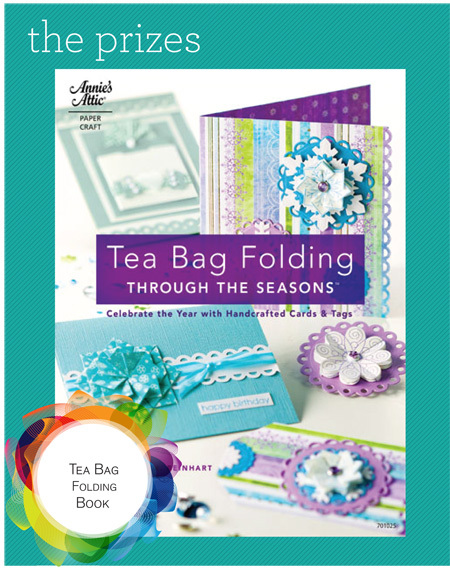 Jan has won the book, Tea Bag Folding Through The Seasons! With only a few basic crafting supplies, the eye-catching cards designs featured in Tea Bag Folding Through the Seasons can be created to share with friends and family. Make sure to pick up your copy today. Jan, please email us at info@icopic.com to claim your lovely prize. And now let's talk about the blog re-design and upcoming excitement here at iCopic! What do you think of the blog re-design? Isn't it snazzy?! I think it looks great!! Menu Bar: The menu bar was designed for ease and convenience. The tabs will help you to easily navigate through the blog and store. Videos button: There is a button you can click on the sidebar and find some of my Copic videos. If you are looking for even more video inspiration, you can go further down on the video bar and find videos by Suzanne Dean and more. Tools/Resources Section: There is an entire section now dedicated to getting the most out of your purchases. Here you will find color charts, guides, and more helpful resources. Connect with iCopic: Stay in the know by signing up for our newsletter. You can also follow us on Facebook and on Twitter. And if that isn't exciting enough, iCopic is going to be stocking some new and fun products!! Curious Metallic Cryogen White 89lb Paper - This is one of the new IT papers for Copic lovers! It should be in stock by the end of next week so be watching for it to arrive in the store. I will be doing an in depth Copic paper review for y'all as soon as it is in stock and I have some time to test it out. Gorjuss Stamps - We've heard lots of buzz about these absolutely adorable stamps from the UK and we will be one of the first (or maybe the first) US e-retailer to carry these stamps. I can't wait to get to color some of these beautiful images!! I think that covers everything. Over the next two weeks, our new design team will be making their official debut on the blog! We are all so very excited to get started sharing new projects with you. I will be back tomorrow with the iCopic Weekly Challenge #28. See you then! Become a follower or a fan and comment on our blog or Facebook page for a chance to win $5.00 gift voucher on our website. All you have to do is to leave a comment and let us know which feature you like or how to make it even better about the new blog. Whether you comment on our blog or Facebook or better yet both, 1 lucky winners from each site will win their very own spool! Good luck to all, we can’t wait to hear from you! Winner will be pick on May 5th, 2011. Oh wow Sami!! It looks great! And CONGRATS Jan!!!! Your card is amazing!! How cool, I won!!! Thanks Dana for letting me know too :) The blog re design is really nice too, it looks clean and crisp. Congratulations Jan! How exciting to see that you WON!! New blog design looks fantastic! Can't wait to see what the new designers do!! Everything looks great. As for what I like, I enjoyed today's book review actually. Copics books aren't something I'd look for but seeing what's out there definitely makes me more interested in checking them out. Jen, I am the same way. I would never have thought to go looking for Copic books to teach me how to color, but they were so helpful! I really was skeptical at first, but they are good books. I love the books that are out there very great teachers. I also love the new look on the blog... love face lifts. Cannot wait for next weeks challenge either!